Fig.1. 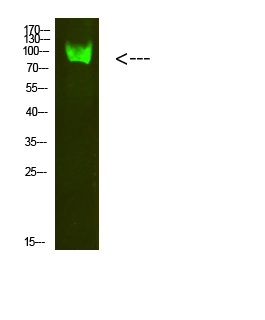 Western Blot analysis of hela cells using primary antibody diluted at 1:1000 (4°C overnight). 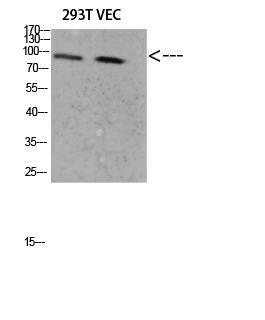 Goat Anti-rabbit IgG Dylight 800 (Cat #: A23920) secondary antibody was diluted at 1:5000 at 25°C for 1 hour. CTNNB1 (Catenin Beta 1) is a Protein Coding gene. Diseases associated with CTNNB1 includeMental Retardation, Autosomal Dominant 19andColorectal Cancer. Among its related pathways areTranscription Androgen Receptor nuclear signalingandphosphorylation site mutants of CTNNB1 are not targeted to the proteasome by the destruction complex.